You should have a durable power of attorney that is less than five years old. If yours is older than that, it’s time to update. The durable power of attorney allows your agent, whom you designate, to step into your shoes and make financial and legal arrangements for you if you are unable to do so yourself. It’s important to have one prepared in case you become incapacitated even temporarily. You’ve taken the time to gather your information, made decisions about who you want to receive your assets, and who will look after your children should something happen to you. Your attorney has assisted you in preparing your estate planning documents. What now? Where do you keep your documents? Important documents need to be kept somewhere easily accessible so you can grab them with you in a hurry if necessary. Possible locations could be a fire proof safe or a filing cabinet located in your home. No matter what location you choose, let your heirs know where the documents are located. It’s also a good idea to let your attorney know where your originals are kept. Nothing is more bewildering for people than knowing their loved ones made a will and kept it somewhere, but not being able to find it. The same goes for powers of attorney and advanced health care directives. These documents may be needed in an emergency so let your agents know where they are located. A safe deposit box may not be the best choice to keep the originals of your documents. 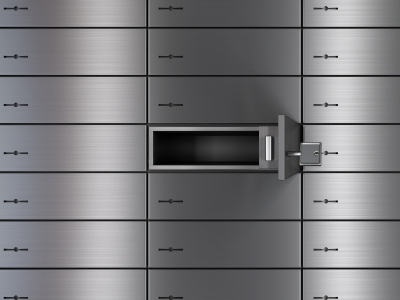 After you die, your safe deposit box may be sealed for some time, and those who need access to your trust or will may be denied access when they most need it. While you may not want to store your original documents in your safe deposit box, definitely place a copy of your estate planning documents in the box along with other important documents such as a list of your accounts/CD’s/brokerage accounts, titles to your house and car, a list of important passwords, and birth certificates. San Diego estate planning lawyer Kristen Walton of the Walton Law Firm represents individuals and families in the creation of estate plans, including wills, trusts, powers of attorneys, and advanced health care directives. Call (760) 607-1325 for a free consultation.